The first open and multilingual online training course for Volunteer Coordinators is now available for free! After months of hard work, the partners of the VolunCET project have done it: the first open and multilingual online training course for Volunteer Coordinators is now available for free on our website! 2. Click on the flag of your language. 3. Complete and submit the online form. 4. Check your email. In a few seconds after submitting the online form you will receive an email with the link to access the online training course. You can choose to do the full training course or to access only the specific parts that are of your interest as each unit can be completed independently. We hope this tool will have a positive impact on organisations such as yours and we'd love to hear back from you for future improvements. Between 23rd and 26th February, the five partner organisations of the VolunCET project met in Lisbon (Portugal) for the fourth meeting of the VolunCET project. 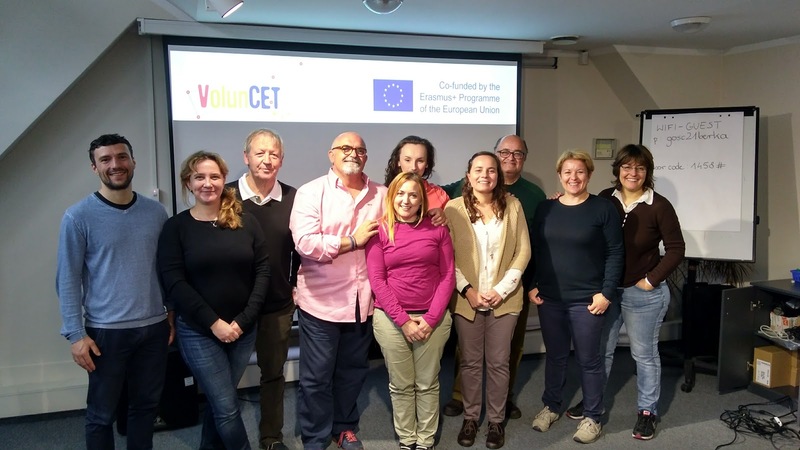 For this project, the partners aim to provide Volunteer Coordinators with high quality training opportunities by developing the first open and multilingual online training course for Volunteer Coordinators in Europe. 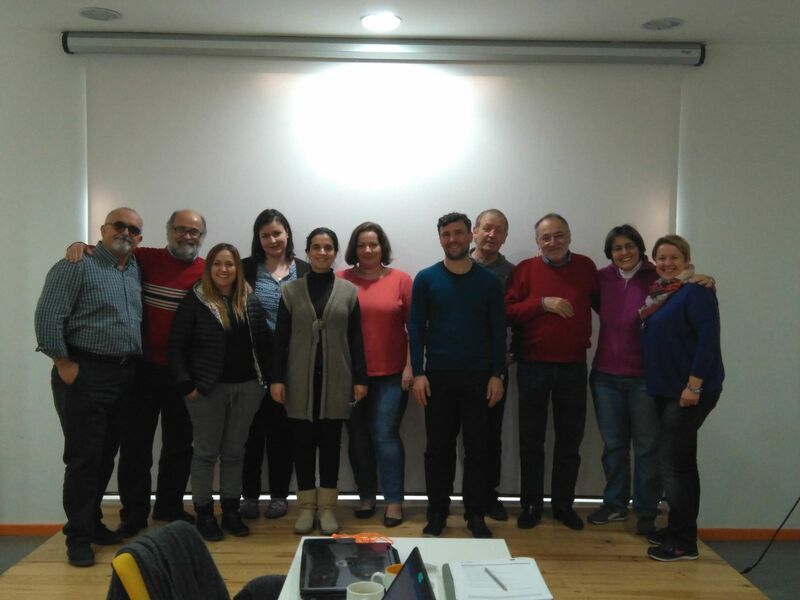 During the first part of the meeting, the partners presented the results from the testing of the online training course with Volunteer Coordinators from five countries (Spain, Poland, Austria, Portugal and Italy). During the second part of the meeting, the partners evaluated the results from the testing and defined the improvements to be implemented on the online training course before its publication on September 2018. Between 15th and 18th September, the five partner organisations of the VolunCET project met in Rome (Italy) for the third meeting of the VolunCET project. The delegates used this project meeting to review the development of the online training content sharing feedback and advice to help each other. They also prepared for the next step of the project: the testing of the online training course which will begin in October with Volunteer Coordinators from five countries. 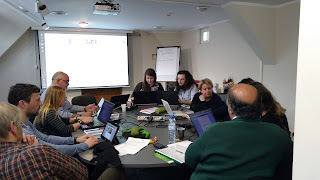 Between 10th and 14th May, the five partner organisations of the VolunCET project met in Krakow (Poland) for the second meeting of the VolunCET project. The delegates used this project meeting to evaluate the training content developed so far by each partner organisation and sharing feedback and advice to help each other. The next step will be to finalise the development of the online training content before the third project meeting in Rome (Italy), planned for September 2017. 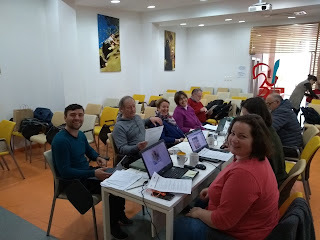 During the meeting in Rome, the delegates from the partner organisations will prepare for the next project activity, the testing of the online training course with Volunteer Coordinators from five countries. Volunteer Coordinators are the professionals who work in voluntary organisations managing the work of volunteers. The profession of Volunteer Coordinator is gaining recognition thanks to the increasing demand for this job profile. However, as many other new professions, there is a lack of high quality training opportunities. There are no specific educational pathways to become a Volunteer Coordinator. 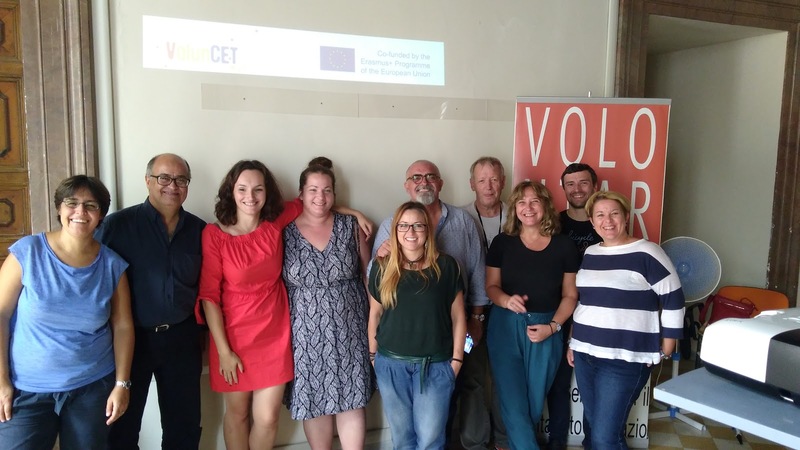 In this context, five organisations from five European countries have joined forces in the VolunCET project to develop the first open and multilingual online training course for Volunteer Coordinators in Europe. 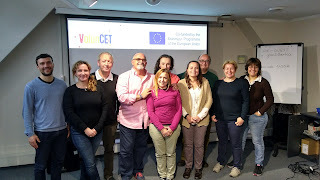 Between 21st and 23rd November, the five partner organisations of the VolunCET project met in Seville (Spain) for the first project meeting. The first day of the meeting began with a warm welcome from Armando Rotea, President of the Andalusian platform of volunteering, who congratulated the delegates from the partner organisations for their commitment to improving the quality and accessibility of training for Volunteer Coordinators in Europe. The delegates used the first project meeting to set strong foundations for the work of the partnership. In particular, they worked on the development of the training content, reviewing the work done so far by each partner organisation and sharing feedback and advice to help each other. The next step will be to finalise the development of the online training content before the second project meeting in Krakow (Poland), planned for May 2017. 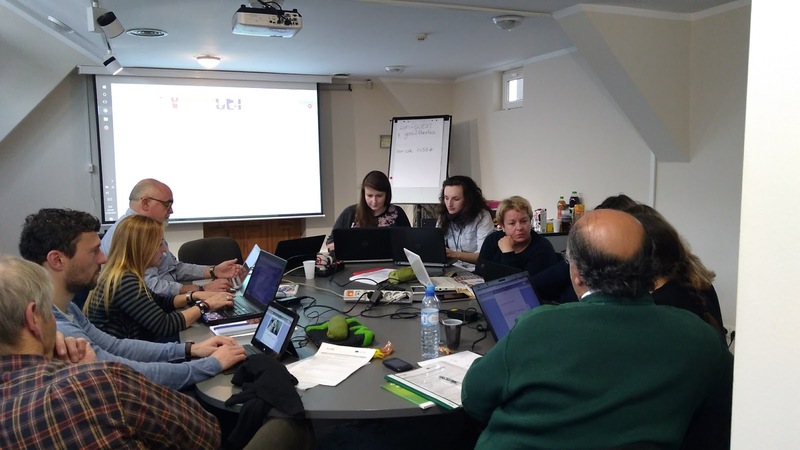 During the meeting in Krakow, the delegates from the partner organisations will prepare for the next project activity, the testing of the online training course with Volunteer Coordinators from five countries. This publication has been produced with the assistance of the European Union. The contents of this publication are the sole responsibility of the project partners and can in no way be taken to reflect the views of the European Union. All files, documents and information on this website are available under the Creative Commons license 'Attribution-ShareAlike 4.0 International' (CC BY-SA 4.0) for free use and re-purposing by any interested party without violating the rights of the original developers. Developed by the VolunCET partnership. Powered by Blogger.